We hope this blog post will help you with some basic information and what the rules are and what benefits you can count on. When you work and pay Social Security taxes (FICA on some pay stubs), you earn Social Security credits. You can earn up to 4 credits each year. You generally need 40 credits (10 years of work) to be eligible for retirement benefits. You can estimate your retirement benefit online based on your actual earnings record using the Retirement Estimator calculator on the Social Security website, socialsecurity.gov. You can create various scenarios based on current law that will illustrate how different earnings amounts and retirement ages will affect your benefits. Still, receiving early Social Security retirement benefits makes sense for many people. Even though you'll receive less per month than if you wait until full retirement age to begin receiving benefits, you'll receive benefits several years earlier. For each month that you delay receiving Social Security retirement benefits past your full retirement age, your benefit will increase by a certain percentage. This percentage varies depending on your year of birth. For example, if you were born in 1943 or later, your benefit will increase 8 percent for each year that you delay receiving benefits. In addition, working past your full retirement age has another benefit: It allows you to add years of earnings to your Social Security record. As a result, you may receive a higher benefit when you do retire, especially if your earnings are higher than in previous years. Once you reach full retirement age, you can work and earn as much income as you want without reducing your Social Security retirement benefit. 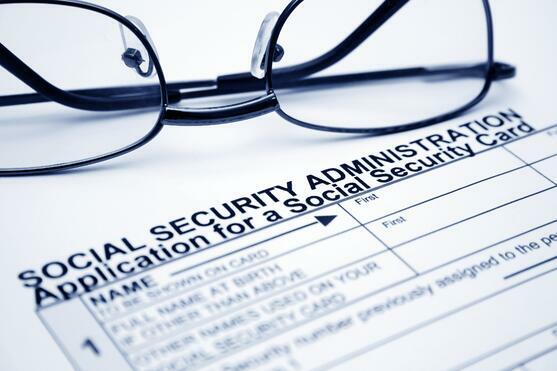 How do you sign up for Social Security? You should apply for benefits at your local Social Security office or on-line two or three months before your retirement date. However, the SSA suggests that you contact your local office a year before you plan on applying for benefits to discuss how retiring at a certain age can affect your finances. Fill out an application on the SSA website, or call the SSA at (800) 772-1213 for more information on the application process.